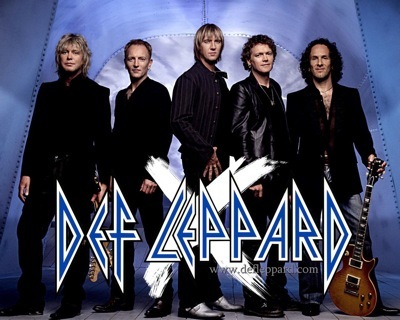 There is some controversy brewing as Def Leppard are allegedly looking into legal action against Pop group One Direction due to one of their songs, Midnight Memories, sounding very similar Def Leppard’s, Pour Some Sugar On Me. Listen to both songs below and pay special attention to chorus. This issue is sure bringing on the heartbrake for me. I’m a (pre Hysteria) DL fan, and I listened to the 1 Direction song (which is nearly violating my personal belief system), and I would have to say DL is reaching too far if they press on with a lawsuit. Yeah, it’s “kinda sorta” like PSSOM during the chorus for a few moments but not enough for me to say it’s a ripoff. The 1D song has more tempo changes, and it’s just a similar chord progression and tempo for a part of the chorus. The vocal melody over it starts with a similar vibe but it’s not the same. I hate formulaic “boy band” bubble pop with the choreographed dancing and all that, but what they have here doesn’t qualify as plagiarism to me. It’s a slippery slope when we start saying, “sorry, you can’t use an A-C-D chord progression at 65 bpm because so-and-so already did it”, unless it’s a blatant copy with no variation at all. Nobody’s going to confuse this 1 Direction song with Def Leppard. Nobody.